Decorating a nursery can be quite an exciting project, but at the same time, you can get caught up in various themes, colours, and not be able to decide which items to go for. 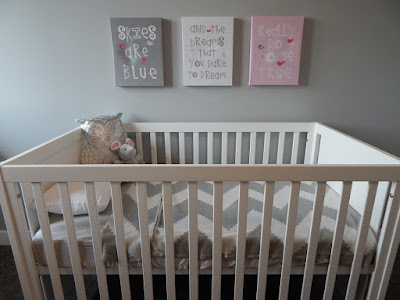 Instead of trying to make everything work together, it’s best that you opt for only a few ideas that will make your newborn’s sanctuary a true oasis. 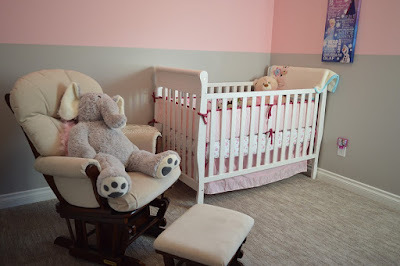 Therefore, be sure to know all the essential dos and don’ts for decorating a nursery and design the cutest little baby room for your bundle of joy. A certain theme always gives a room a more cohesive look. Colours are picked according to the theme you’ve chosen, so you’ll stick to the specific colour scheme, unable to stray away. A travelling theme can be a good choice because it’s one of the gender-neutral themes, which offers soothing hues and cute decor. From a pastel blue ceiling, through white walls, and beige curtains with pastel green details, your nursery will look amazing. Consider beige floors, and furniture in neutral colours as white, beige or mauve, add a few hot-air balloon motifs and the room is all set. 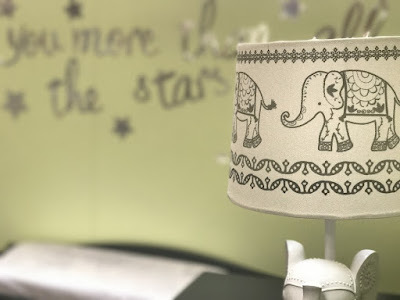 It’s essential that the lighting in the nursery is not harsh, and that it can mimic night time whenever you need it. Install a dimmer switch to create comforting lighting that will be perfect for 3 a.m. feeding, not harming your or your baby’s eyes. Considering your baby will sleep a lot in the first year, you need to have proper blackout shades. Keep the nursery dark and cool and think about getting a set of heavy blinds or UV-blocking drapes. An eco-friendly room is the best room. Not only will you help the planet by using eco-friendly materials, but you’ll also provide your baby with a healthy environment to grow in. Chemicals known as VOCs, that are widely used, have harmful effects on the air quality when they start to evaporate. Avoid having your child’s health compromised by these nasty chemicals, and use VOC-free paint. Invest in organic bedding, free from toxic, fire-retardant chemicals, and buy eco-friendly toys made of responsibly sourced wood, sustainable bamboo and organic cotton, which don’t contain BPA. Every nursery needs a personal touch, but try not to go overboard with toys and accessories. You don’t have to fill every corner with items, so think in terms less is more. Try to make two or three focal points in the room, and avoid purely decorative items that will only cramp up the space. What’s more, babies won’t use toys for a long time, so don’t put extra clutter into the nursery. Stay away from furniture with easily removable knobs because it’s going to be dangerous for the baby once it starts walking. Furniture pieces that are easily combined with the rest of the decor are the best, so invest in cribs in neutral colours, and dressers with a classic wood finish. When it comes to accent pieces, durable modern rugs in soft neutral colours can be a great addition to the nursery, making it feel cosy and warm. Invest in pieces that will be of use once your child is older, and look for a changing table that can also be a regular dresser. Babies tend to have more stuff than adults, since relatives shower them with clothes, toys and various items that you need to store properly. Therefore, make sure a toy box is safe for a child to reach it, and take any toy without getting hurt. Keep diapers, creams and wipes out of the baby’s reach, and keep all the stuff you use regularly within arm’s reach of the changing table. Decorating a nursery can be challenging, but it’s a venture like no other. Just make sure you don’t go overboard with the decorating, and follow these simple guidelines to offer your baby the best sanctuary to grow up in.